Ice Cream Cone Sleeve Label | PB Holotech (I) Pvt. 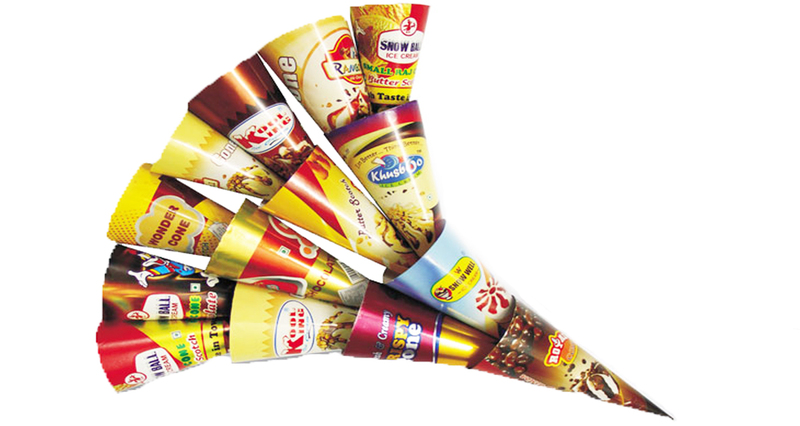 Ltd.
We are engaged in offering an exclusive collection of Ice Cream Cone Sleeve Label to our valued clients. These are high quality printed foil sleeves with attractive designs and prints. One can also avail our labels in customized prints and designs as per their exact demands. Our labels are widely praised for attractiveness and vibrant colors. These ice cream cone sleeve labels are available at cost effective prices.